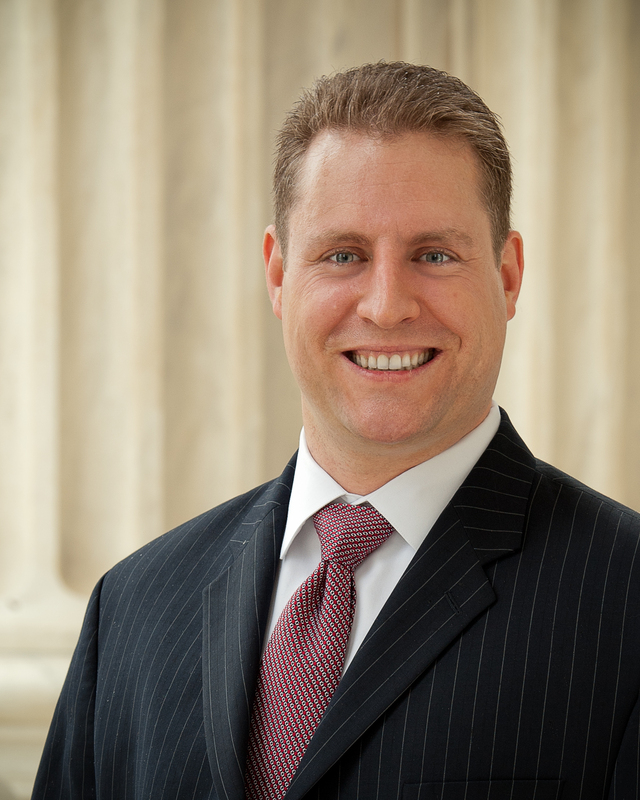 Ken Klukowski is an attorney representing the American Civil Rights Union, which filed an amicus brief in support of the challengers in Minnesota Voters Alliance v. Mansky, and is also senior legal editor for Breitbart News Network. This year the Supreme Court will decide whether the First Amendment allows a “buffer zone” forbidding all political speech around polling places on Election Day. A lot has changed in free-speech jurisprudence since the court looked at this issue in 1992, but the justices should rule in favor of the challengers no matter which approach they use. In 1992, the Supreme Court in Burson v. Freeman narrowly upheld a Tennessee law that barred campaign-related activity within 100 feet of a voting location while polls are open. Burson allowed buffer zones in a 5-3 decision (Justice Clarence Thomas joined the court after the case was argued but before it was decided), with no majority opinion supporting the decision. 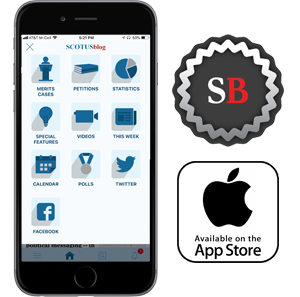 Justice Harry Blackmun wrote for four justices that streets and sidewalks within 100 feet of the location are a traditional public forum, and therefore the Supreme Court should apply a form of “strict scrutiny” to the statute. Under that demanding standard, the government generally must prove that its burden on speech rights is narrowly tailored to achieve a compelling public interest. The plurality seemed to relax the part of the test involving narrow tailoring, tipping its hat to the primacy the Constitution gives states when it comes to conducting elections. Blackmun also wrote that preventing election fraud and voter intimidation are compelling state interests. Justice Antonin Scalia agreed that Tennessee’s law was constitutional, but disagreed with Blackmun as to why. Scalia wrote that the streets and sidewalks around a polling booth lose their public-forum character on Election Day, temporarily making them a “nonpublic forum,” where the government can impose any limits on speech so long as they are both reasonable and viewpoint-neutral. Justice John Paul Stevens wrote for three liberal justices, asserting that these restrictions on speech could not withstand judicial review, and voted to strike them down as a First Amendment violation. Almost 30 years later, Minnesota’s statute is different from Tennessee’s, and so is the current state of constitutional law. Minnesota’s law bans all political speech in whatever form, including all passive speech. Although the statute does not explicitly include apparel, the state attorney general and county-level officials in this case made clear that the statute does reach that far, making it difficult for the Supreme Court to salvage it by interpreting its terms narrowly (applying what is called the “doctrine of avoidance”). Although Tennessee’s law would not allow a candidate to approach you outside a ballot booth to ask for your vote, or a volunteer for a party or campaign to approach you with a candidate’s literature as you walk into the polling location, Minnesota’s law goes further, forbidding an NRA member from wearing his NRA baseball cap as he enters the polling place. Here, in 2010 a Minnesota voter wore a Gadsden flag T-shirt (a picture of a rattlesnake with the phrase, “Don’t Tread on Me”), a symbol associated with the Tea Party, and a lapel button that said, “Please I.D. Me.” That voter, Andrew Cilek, was initially denied the opportunity to cast a ballot. He was later allowed to do so, but only after officials recorded his identity for possible prosecution. Yet neither of those clothing items should be a problem. Regarding the T-shirt, the Tea Party is a governing-philosophy political movement, not an actual political party that runs candidates. There was no “Tea Party candidate” on the ballot alongside Democrats and Republicans. Regarding “Please I.D. Me,” Minnesota has no voter-ID law, nor was that issue on the ballot in 2010, so the button had nothing to do with the 2010 election. Nonetheless, a federal judge in Minnesota held that the statute forbidding Cilek’s shirt and button did not violate Cilek’s First Amendment rights. The U.S. Court of Appeals for the 8th Circuit affirmed that judgment, citing Burson as the controlling precedent. Under the overbreadth doctrine, laws facially violate the First Amendment if they permissibly burden some types of speech, but also go beyond that to restrict substantially more speech than necessary to achieve the permissible outcome. Such laws have a “chilling effect” on constitutionally protected speech. The courts frequently invalidate such laws, sending the issue back to the legislature to formulate a narrower law that achieves the permissible goal without scaring people away from saying things that the Constitution protects. The overbreadth doctrine is unique to the First Amendment (though there is a coherent argument as to how the doctrine could be applied in some Second Amendment contexts as well, a theory that has yet to be tested in the courts). Most of the time when a court is conducting judicial review to assess the constitutionality of a law, the court will either construe the terms narrowly enough to avoid constitutional problems (the doctrine of avoidance referenced above) or strike down the law on an as-applied basis, while preserving the law for other factual scenarios. The U.S. Court of Appeals for the 6th Circuit in 2015 invoked the overbreadth doctrine to strike down a buffer zone around a polling place. Judge Alice Batchelder in Russell v. Lundergan-Grimes wrote a decision invalidating a buffer zone with a 300-foot radius. Batchelder reasoned that lower courts must regard the 100-foot radius as a safe harbor for legislatures because of Burson, but that if a legislature prohibits speech across a larger area — the area covered by a 300-foot radius is nine times larger than that within a 100-foot radius — the government must explain why it requires a larger surface area to combat the twin evils of election fraud and voter intimidation. Minnesota Voters Alliance likewise involves overbreadth, but the overbreadth in this case involves more categories of speech, rather than a larger surface area in which speech can occur. In this case, the discussion revolves around why Minnesota must go beyond blocking vote solicitations and campaigning to also ban T-shirts, baseball caps and other types of passive communication unrelated to candidates and issues on the current ballot in order to stop fraud and intimidation. In today’s environment, people can regard all sorts of innocuous messages as conveying some kind of political content. Insofar as Burson requires the application of strict scrutiny, Minnesota’s law fails that demanding test. While most lawsuits presume a statute to be valid and put the burden of proof on the challenger, strict scrutiny inverts that approach, so that courts presume the law is invalid, and the burden is on the government to save it. 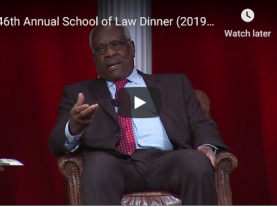 As Justice Clarence Thomas wrote in his separate opinion in the 2013 case Fisher v. University of Texas, strict scrutiny requires the government to provide a “strong basis in evidence” that the means employed by the government truly achieves the compelling public interest at issue. The Minnesota attorney general and local officials offer virtually no evidence as to why banning NRA hats, Gadsden flag T-shirts and buttons that are irrelevant to an election is necessary to prevent election fraud and voter intimidation. They identified no would-be voters who swore that they ran in fear from the voting location before casting a ballot upon seeing “Don’t Tread on Me” on a T-shirt. The question is not whether the Minnesota statute violates the First Amendment as an overbroad restriction on speech. Rather, the question becomes whether Minnesota has proven that its statute does not violate the Constitution — that is, proven that banning NRA and Tea Party shirts and hats is necessary to prevent fraud and intimidation. The government failed to carry that burden. For that matter, if the Supreme Court were to decide Burson today under current constitutional doctrine, Tennessee’s law might not survive strict scrutiny. Blackmun’s plurality just seemed to assume that Tennessee’s assertions were correct, apparently taking them at face value. Fisher makes clear that strict scrutiny never permits a court to defer to the government’s say-so. Instead the court must be skeptical, and make the government prove its case by a “strong basis in evidence.” There was no such demanding evidentiary showing in Burson. One interesting issue in this case is how much weight the Supreme Court will decide to afford the plurality opinion in Burson. There was no majority opinion. Under the Marks rule established in Marks v. United States, when the justices fracture such that there is no majority reasoning supporting a Supreme Court judgment, lower courts are to regard the narrowest opinion that supplies the requisite fifth vote as the majority holding of the court. In Burson, Blackmun’s plurality opinion is narrower than Scalia’s opinion concurring in the judgment, so the former will control. It will be interesting to see how heavily the Supreme Court leans on that precedent as it decides Minnesota Voters Alliance, given the evolution in constitutional law over the intervening years.